Have a wonderful Memorial Day Weekend! Let's remember and honor of all the veterans as well as active servicemen and women! Thank you to all of our heroes for their selfless sacrifice and service! these are all cute looks! I love red, white and blue - they look great together and so patriotic! I adore every one of this looks!! To my mind it's a perfect match of colours, each of those outfits is so chic and stylish! You look so womanly, no matter what you wear, by the way. I love these looks! 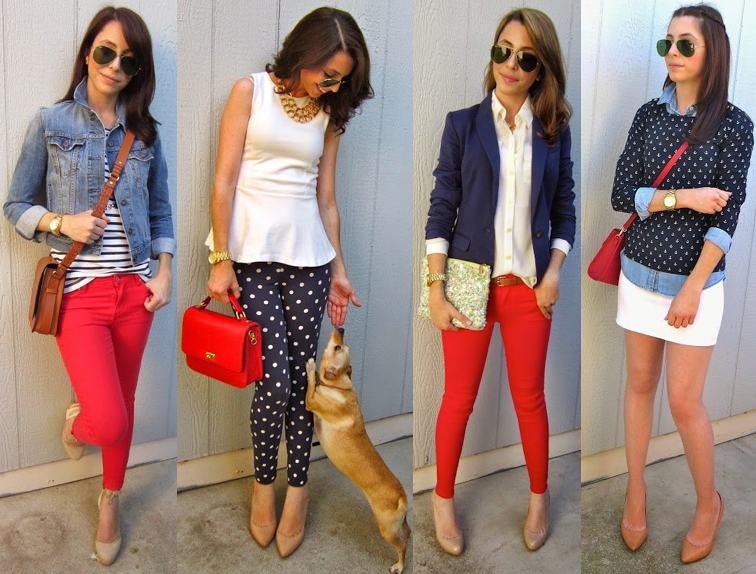 My favorite though is the one with white peplum top and polka pants= so gorgeous!! It definitely bears repeating. So much gorgeousness!! Love all of these looks, Rita! Beautiful and cool color combination them red, white and blue! Hope you are well, sweetie! love some of these throw back pictures. great photos to think back over memorial day.